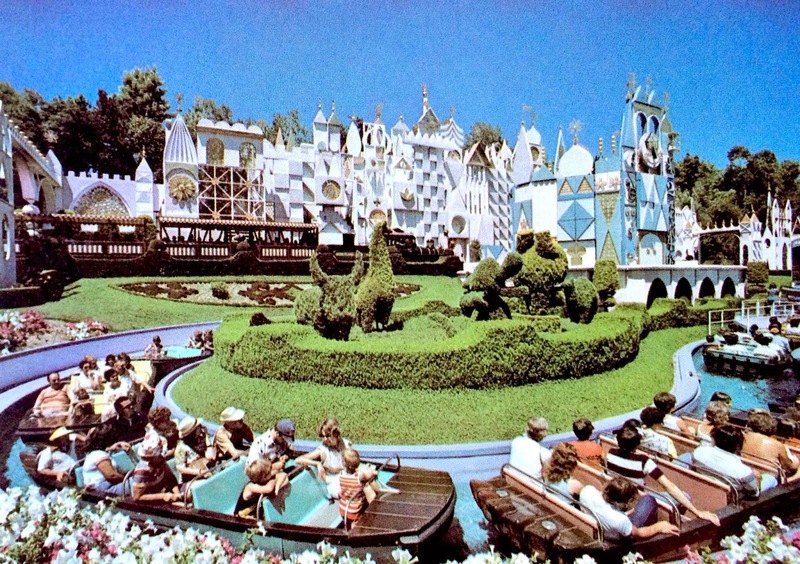 Continuing our journey through the It's A Small World : A Disneyland Pictorial, we find ourself outside of the actual attraction! On previous posts we've toured the "old world" and the South Pacific… but today lets explore the grounds a bit. 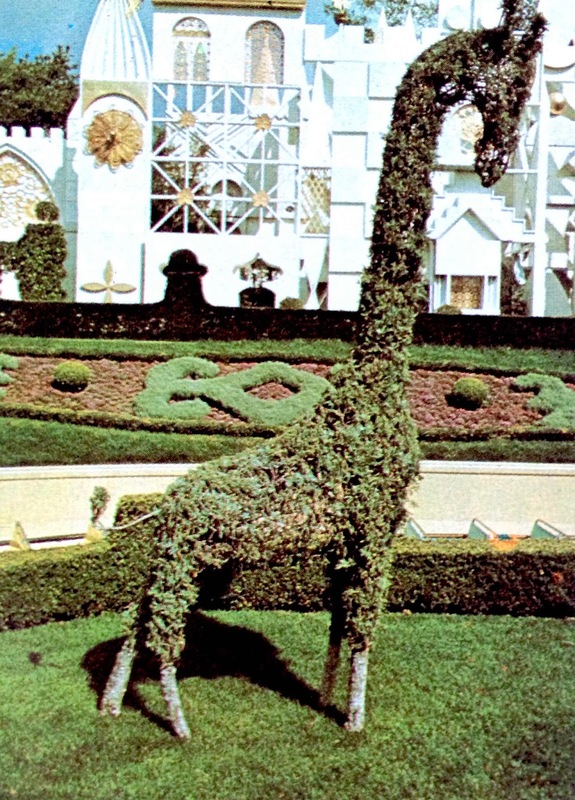 Topiary gardening, the art of fashioning living plants into the shapes of animals of geometric figures, had been practiced for centuries before coming to Disneyland. Such unique gardens were the pride and joy of European royalty…and a number of outstanding examples can still be seen in the "old world" today. The Disneyland topiary program was begun under Walt Disney's personal direction four years before It's A Small World was scheduled for its grand opening. 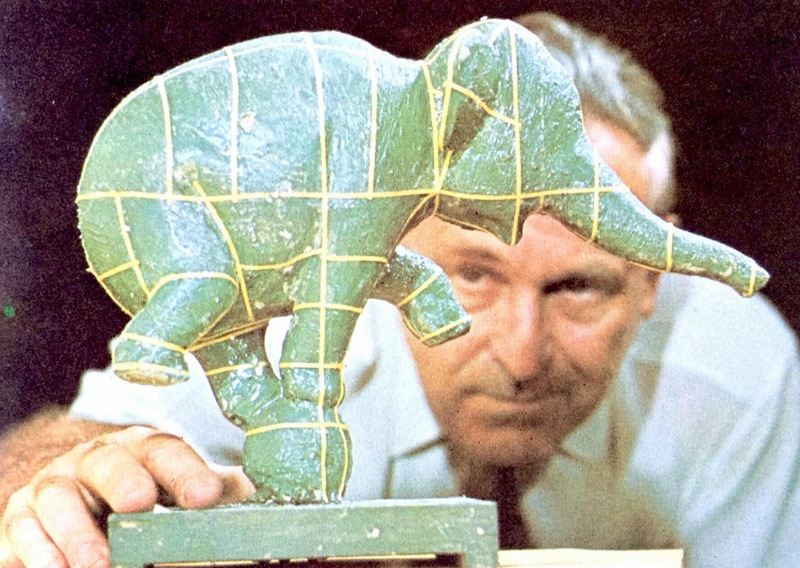 Figures were patterned after the "stars" of such well know Disney films as Dumbo and Fantasia…including waltzing hippos, crocodiles, and balancing elephants. True to scale reproduction of such animals, however, would have resulted in figures too large for the garden. Giraffes were "shrunk" to ten feet, poodles "grew" to two feet, and the rest of the menagerie was brought into scale that would not "overpower" the landscape…or be "lost" for being too small. Lightweight steel skeletons were then fashioned into the desired "bones" and matched to mature living plants. A giraffe would call for two short and two tall trees, whereas a dancing elephant, with only one point of contact with the earth, would require two medium height but full plants. Carefully the Disney gardeners warped the main branches to the skeletons…trimming here…and tying there. Four nurturing, coaxing, training years later, a Disney troupe of 20 topiaries moved "on stage" to welcome guests to It's A Small World.